Most of the trees have lost their leaves after a gorgeous show in November, here in northwest Oregon. 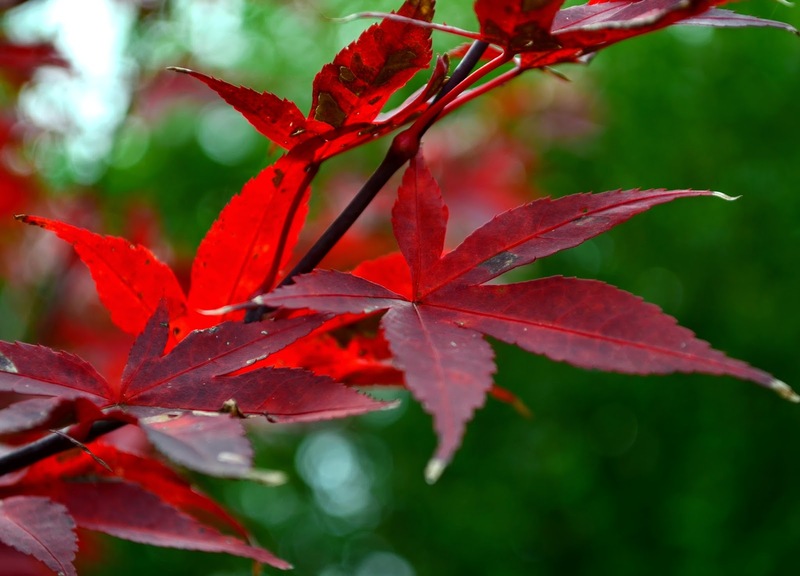 True to form, my Twombly's Red Sentinel, acer palmatum has kept it's dainty leaves and is now dazzling us with a fantastic display of red. Such a pretty tree. It's been a lovely addition to my small, postage stamp sized front yard. This is it's time to shine. 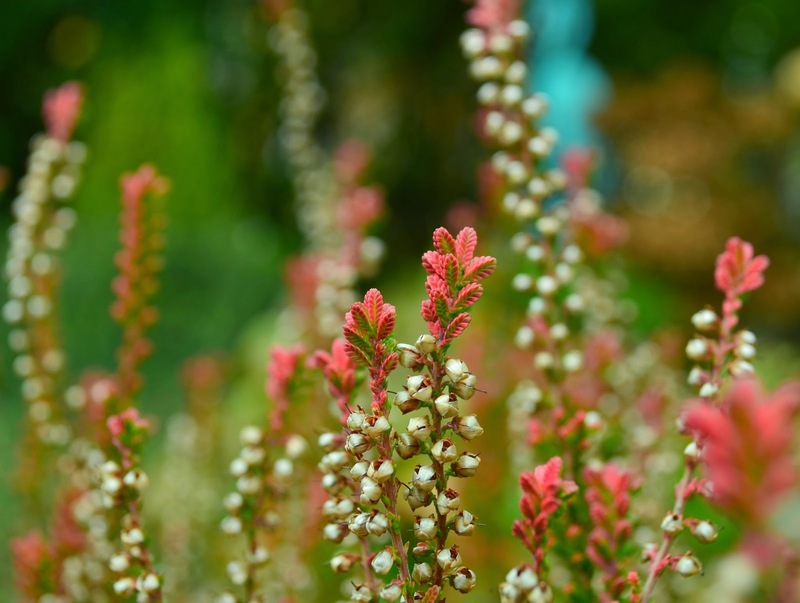 Another plant that is shining in autumn color is my Calluna Vulgaris 'Firefly'. This variety of summer heather has been amazing to watch every season as it's colors change. I'm in awe of the coral pink tips. So pretty. 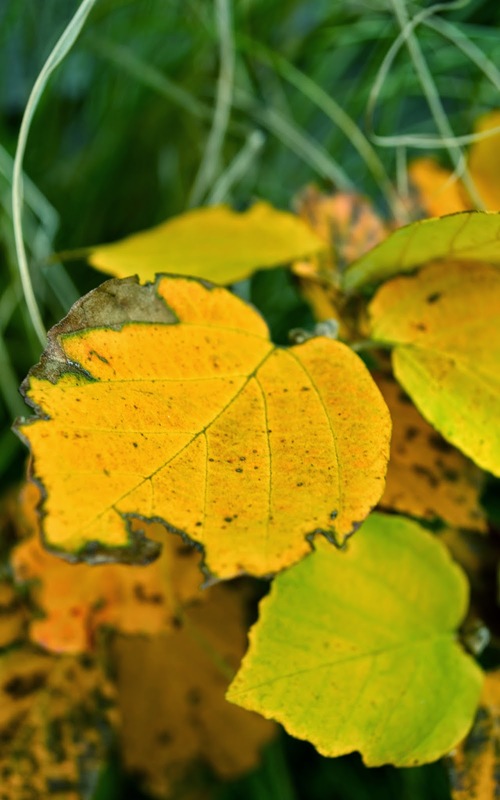 Fothergilla major 'Mount Airy' has deep gold color, adding to the show. 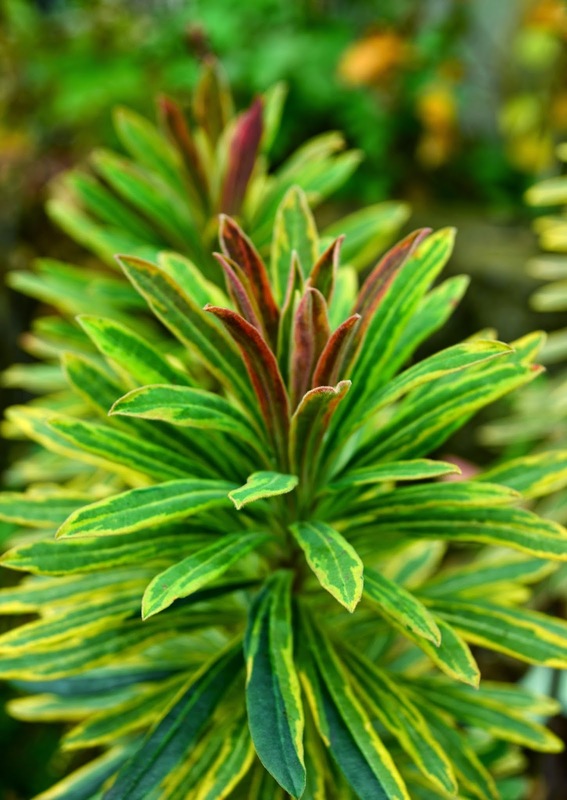 When I look at my group of euphoribia 'Ascot Rainbow', I almost giggle. They remind me of pineapples from a distance with their cute little red tops. 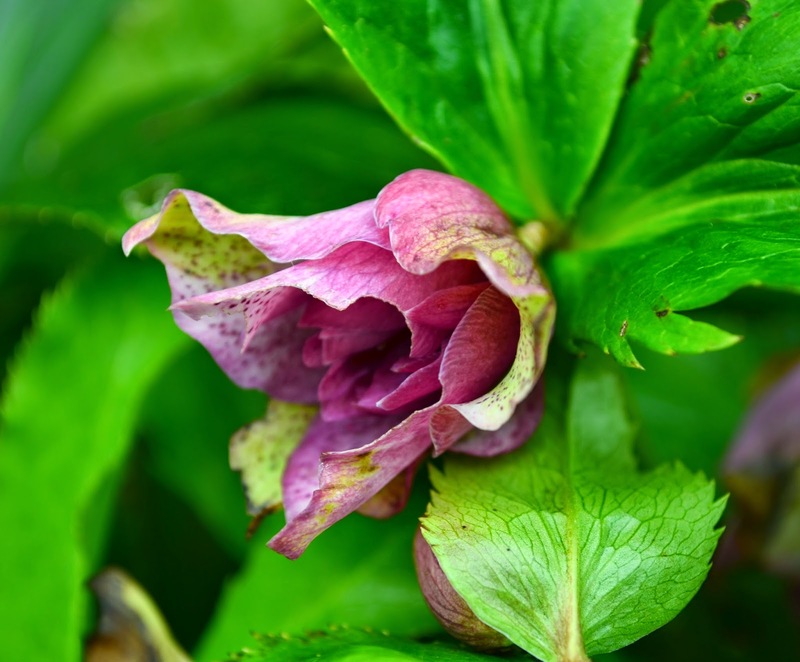 And finally, what feels early, are blooms from helleborus orientalis 'Elly'. The buds began to show color at end of October. I'm afraid the blooms won't be at their finest this year. 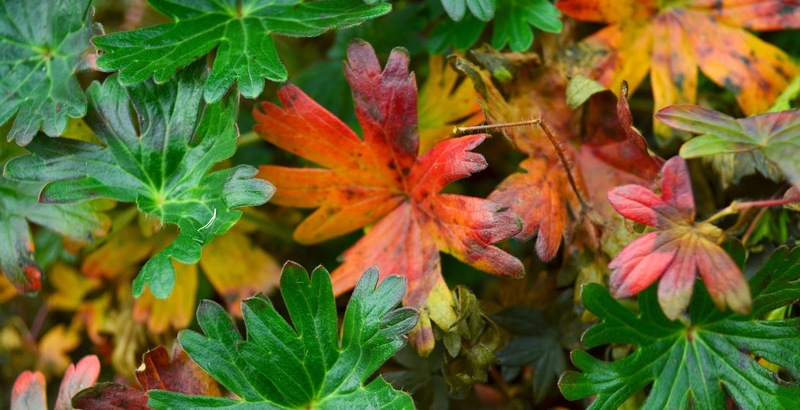 I hope you are enjoying your fall colors! Wising my friends in the USA a Happy Thanksgiving! A Happy Thanksgiving to you too, Jeni! Many of the leaves on my maple this year went crisp, and whenI the cold spike hit whatever was left pretty much freeze dried on the branches. 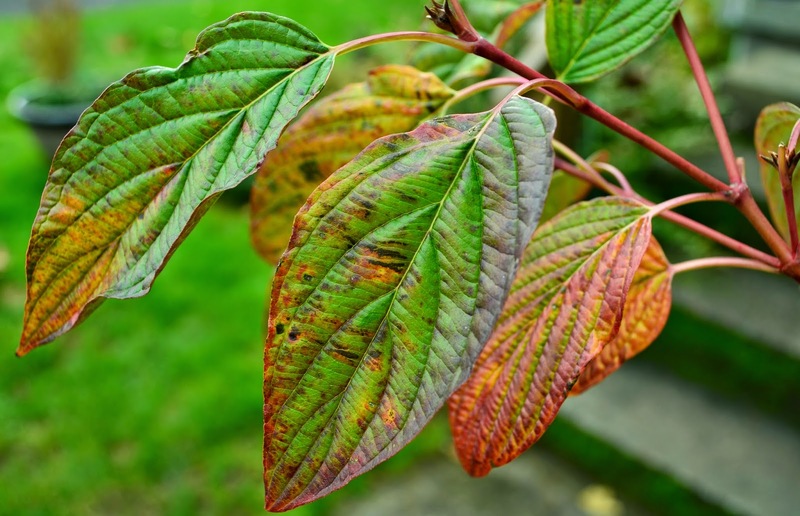 Many of the leaves are still hanging on looking absolutely miserable. So, I'll have to focus my gratitude on other things, such as having friends that show me cool plants like that 'Firefly'. It is gorgeous! Hope you and yours have a fab holiday! Great colours there Jenni. 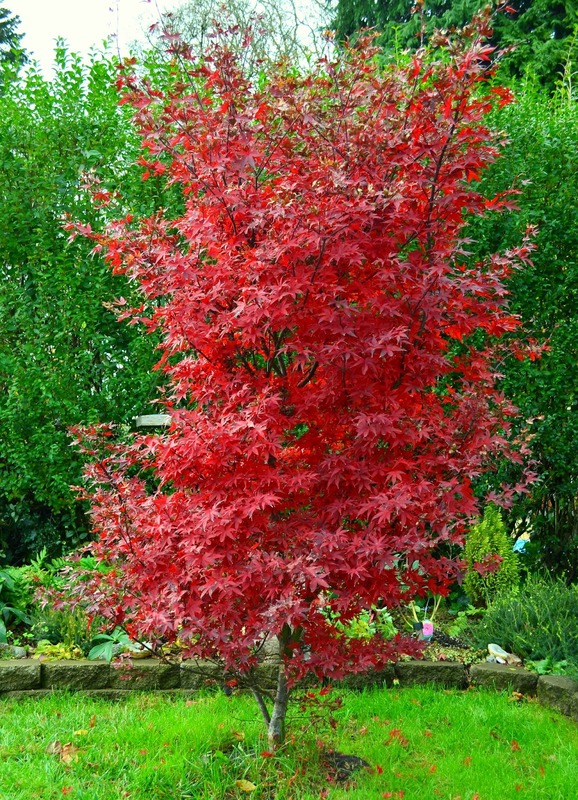 That Acer is very impressive. I love the name too - sounds like something from a children's TV programme! Happy Thanksgiving , Jenny. Such lovely things in your garden . I love that Calluna ! That is a beautiful tree! What colors! All our leaves are long gone. Hope you have a grand Thanksgiving. Some real beauties there, the Calluna especially. I've not come across that one before. As we drove "over the river and through the woods" yesterday, we enjoyed the wintery landscape, with just a frosting of fall color. You don't have to go so far afield to enjoy the same. Autumn is the most beautiful season. Everywhere you look it's like a painting. There are so many colours on the trees. It's really magical. Great photos! A Box of Trees on my Doorstep!